This past weekend was probably the best weekend I’ve had in a while. I spent the entire weekend with my family. This past weekend was a local Christmas Arts & Crafts sale at our exhibition center. It was filled with small businesses selling handmade goods like sweaters, hats, doll clothes, jewelry, food, hot sauce… pretty much anything you can DIY to make a dollar with. We normally go every year to see the handmade Christmas crafts because my mom is a huge Christmas lover. It is her most favourite time of the year, and she loves handmade or primitive-looking Christmas décor. Last year I bought her a handmade wooden Grinch Christmas sign that had a string of lights wrapped around it. (Pic will follow) She absolutely loved it. She was looking to see if the woman who sold it last year would be here this year too, but unfortunately we didn’t see her. We walked around and saw many tables set up from stores that were there last year. The downfall of handmade items, they can be pricey. A hand-knitted sweater was anywhere from $175 and up. I saw one I really liked but turned away once I saw the $275 price tag. I wasn’t really expecting to buy anything from the arts & crafts sale, but I walked by one booth I hadn’t seen there before. They’re called The Quarrelsome Yeti, and I instantly fell in love with their clothing when I saw them. They sell shirts, sweaters and baby onesies with their unique designs for a decent price. I did not know they even existed until this past weekend. I fell in love specifically with this red pullover with a drawing of Krampus on it with a little kid running away from him. For anyone who’s interested in looking at some of their other designs, here’s their link. We walked around some more, and my father stopped at a table that sold numerous different hot sauces. I could smell the spice from a few feet away. My dad loves locally made hot sauces, and my husband likes anything spicy in general. My father bought one called Newfoundland Screech. (Normally Newfoundland Screech is a type of alcohol you can buy in Newfoundland) Both my husband and dad later tried it, and the smell is too much for my sensitive nose. I can’t handle anything spicy…at all. Doritos are basically my limit for spiciness…. My mom and I stopped at another new exhibit/stand thingy. They were selling wraps and shawls. Since shawls are quite popular right now, we decided to look at some. They were made from this local business, and they were only $25! And they were decently thick! (I had spent between 20-30$ for a wrap shawl from Dynamite and it’s paper thin) I decided to buy the shawl for us, it was a mixture of black, grey, red, etc. Up close picture of the pattern on my shawl. My father and I also convinced my mom to buy this pair of black earrings that she had been eyeing since we noticed the table at the sale. She didn’t want to spend $18 dollars on them, but we convinced her to get them since she loved them, and most likely wouldn’t buy them anywhere else. So she did lol. On Sunday my mom and I took a trip to Value Village, and I ended up buying more than I expected. Recently nothing has really been catching my eye, but on Sunday a few things did. The last time I was there, I saw this cute Winnie the Pooh picture frame that was from Walt Disney World. (Literally never been to any Disneyland/world/etc. My dream one day.) But it was $7.99. To me that was too much, even though the frame was in excellent condition and I haven’t seen one like it. So I left it. I stopped by the picture section on Sunday and it was still there! So I bought it. I found the original sticker on the back for $18.99 US, so it’s still a deal. I now have it at my desk at work with one of my wedding pictures in it. I also bought a tote box, because I needed to store some stuff away. Not interesting, but it was only $4.99, and normally they’re around $20 for a tote box the size of the one I bought. So score there. My big purchase was a pair of authentic mukluks. Normally I wouldn’t pay $25 for shoes from Value Village, but these were actual Mukluks! They were authentic, and had a leather stamped label stitched inside each shoe that said they were made in Manitoba. The for around the shoes were also real, and normally I don’t buy anything with real animal fur, but I did buy these. My Mukluks. The leather stamp on the inside states they were made in Manitoba. They are very comfy, and whoever had them last also put Hunter boots insoles inside the shoes, so there’s another plus. While going through the checkout, an older woman behind me kept eyeing my boots, then finally commented that it’s such a steal to get them at that price and that at a local store downtown they are $300. Which basically sold me even more on the shoes. I’m normally anywhere between a 8.5 to 10 for shoes. These were a 10-10.5 but they honestly felt like an 8.5 or 9. They just fit. Not too tight, just enough space. We shopped at two more places over the weekend; Bed, Bath & Beyond and Gap. I went in to BB&B because I had a 20% off coupon and just wanted to spend money… But I ended up buying a Christmas gift for my husband’s little cousin, as well as a Disney Tsum Tsum blanket! I really like Tsum Tsums, and BB&B actually just started getting rid of their items a while ago. When I went in on Sunday, all they had left were some slippers. They had an empty bin for Tsum Tsum blankets for only $7. I searched around but couldn’t find any :(. Then my mom decided to go look near the children’s bedding section and we found ONE Tsum Tsum blanket. It was sooo soft and cute, but I kinda thought it wasn’t the right blanket for only $7. So we went up and asked the cashier if she could price-check it. She didn’t even blink before she said it was $7. So I got it. No regrets. Super cozy. My plush Tsum Tsum blanket from Bed, Bath & Beyond. I wasn’t expecting to buy anything from the Gap. Our Gap is a factory outlet store, but normally even their clearance items are expensive, at least for me. 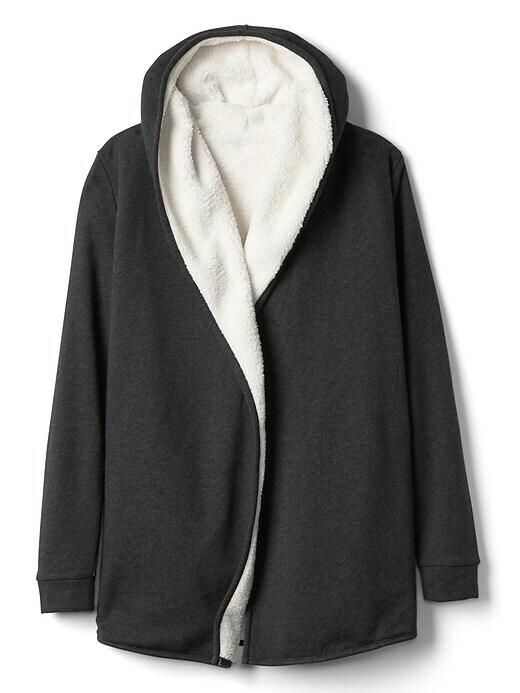 I saw this gorgeous cardigan-type sweater that had the fluffy stuff some blankets have on the inside of the sweater. I wanted it so bad. I’ve been wanted a fluffy type sweater for a while, but whenever I find one they’re either too expensive or not my size. I looked at the price and it was $67. There was no way I was going to buy it. So I just followed my parents around the store while they picked out a couple of shirts for one of my nieces. I stopped by the men’s shirts and saw a Snoopy Christmas shirt. I picked it up, thinking it would be cute for my husband, when I heard a lady chuckle behind me. She then told me she was also going for that shirt, since it was the last one. I offered it to her, since Kris most likely wouldn’t wear it anyways. The woman thanked me and walked away. A worker walked by with this big box telling people there’s a sale on this weekend, and you pick a mystery tab and open it to reveal either 20-50% off your entire purchase. I pulled one out and got 30%. The woman from before – the woman I gave the Snoopy shirt to, stopped me and whispered that someone left a 40% coupon on a table. She pointed me in the direction, so I grabbed it and thanked her. I ended up using the coupon and buying my comfy sweater.. and boy is it ever comfy! Normally when I’m at work, it starts to get a little chilly around 1PM. But when I wore my comfy cardigan I didn’t feel any chills! Money well spent! Sorry this ended up being so long, hope you at least enjoyed reading it!